Updated new edition of Ralph Kimball's groundbreaking book on dimensional modeling for data warehousing and business intelligence! 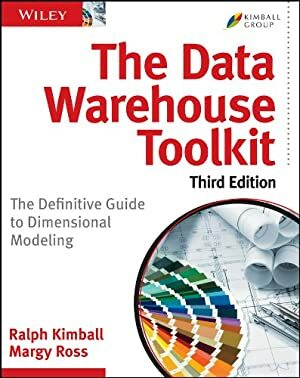 The first edition of Ralph Kimball's The Data Warehouse Toolkit introduced the industry to dimensional modeling, and now his books are considered the most authoritative guides in this space. This new third edition is a complete library of updated dimensional modeling techniques, the most comprehensive collection ever. It covers new and enhanced star schema dimensional modeling patterns, adds two new chapters on ETL techniques, includes new and expanded business matrices for 12 case studies, and more. Design dimensional databases that are easy to understand and provide fast query response with The Data Warehouse Toolkit: The Definitive Guide to Dimensional Modeling, 3rd Edition. Track It. This book has been $28.76 within the past year. Log In to track Margy Ross on eReaderIQ. to be notified each time the price drops on any book by Margy Ross. to stop tracking Margy Ross. Log In to track Ralph Kimball on eReaderIQ. to be notified each time the price drops on any book by Ralph Kimball. to stop tracking Ralph Kimball. This book was $34.20 when we started tracking it. The price of this book has changed 398 times in the past 2,096 days. The current price of this book is $31.73 last checked one day ago. This lowest price this book has been offered at in the past 90 days is $31.22. This lowest price this book has been offered at in the past six months is $30.47. This lowest price this book has been offered at in the past year is $28.76. The lowest price to date was $14.99 last reached on August 17, 2017. The highest price to date was $48.12 last reached on March 17, 2015. This book has been $48.12 one time since we started tracking it. We last verified the price of this book about one day ago. At that time, the price was $31.73. This price is subject to change. The price displayed on the Amazon.com website at the time of purchase is the price you will pay for this book. Please confirm the price before making any purchases.